The bride, Kensy, is my God-sister (if that is a thing...my parents are her Godparents) and I have known her since she was born. 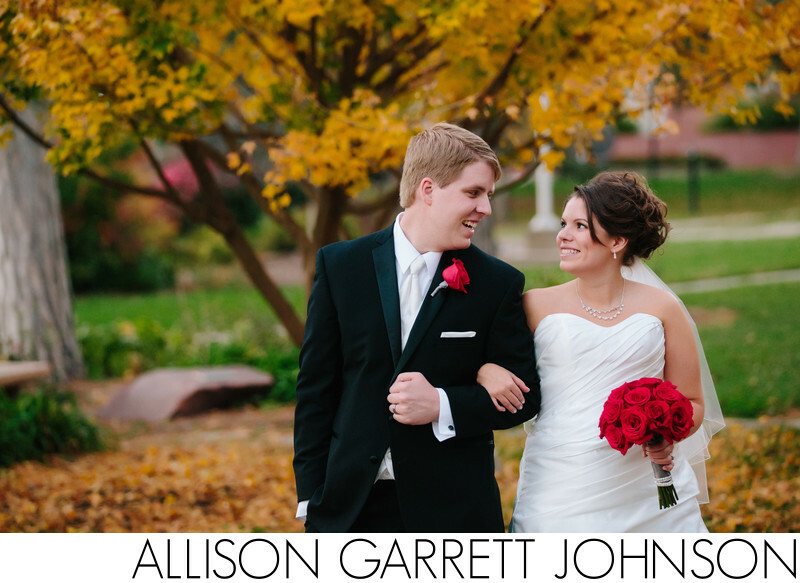 It was such a fun honor to be asked to photograph her beautiful fall wedding. The ceremony was held at Christ Lutheran in Lincoln, Nebraska which also happens to be the same church I was married at a few months later. Kensy attended Nebraska Wesleyan University as a music major and requested we stop for portraits on campus on the way to the reception. The campus is really nice to begin with, but the timing was absolutely perfect for fall colors. Location: Nebraska Wesleyan University, 5000 Saint Paul Avenue Lincoln, NE 68504.